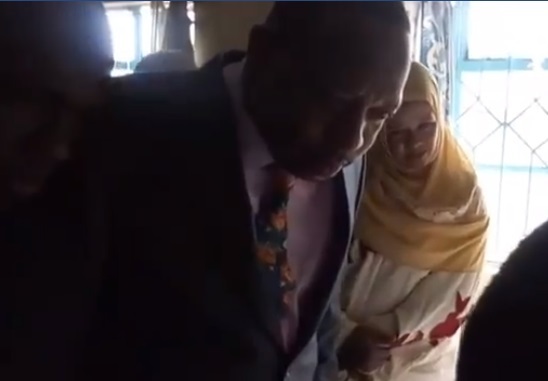 Home / Entertainment News, Videos / SONKO storms Pumwani Hospital and causes drama, the nonsense Governor is not joking with cartels (VIDEO). SONKO storms Pumwani Hospital and causes drama, the nonsense Governor is not joking with cartels (VIDEO). Thursday, August 2, 2018 - Nairobi Governor, Mike Sonko, stormed Pumwani hospital and confronted the management after he found out that pregnant women in Maternity Wards are forced to spend their own money t0 buy personal items yet the County Government has released millions of shillings to facilitate free delivery. Sonko confronted the hospital’s top managers and told them to see him in his office so that he can deal with them properly. Sonko is no longer joking with cartels and corrupt staff in the County.